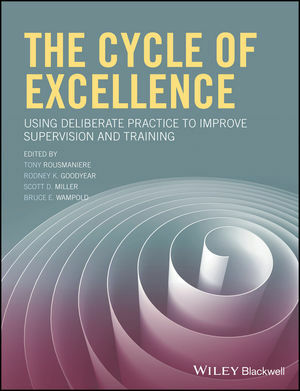 This book is the 2018 Winner of the American Psychological Association Supervision & Training Section's Outstanding Publication of the Year Award. Tony Rousmaniere, PsyD, is on the Clinical Faculty at the University of Washington in Seattle, where he also maintains a private practice. He provides consultation and training for therapists around the world. Scott D. Miller, PhD, is the founder of the International Center for Clinical Excellence, a consortium of clinicians, researchers, and educators dedicated to promoting excellence in behavioral health services. Bruce E. Wampold, PhD, is Emeritus Professor of Counseling Psychology at the University of Wisconsin-Madison, and Director of the Research Institute at Modum Bad Psychiatric Center, Norway.